On May 14, 2013, the Potomac Officers club hosted the Post-Sequestration Summit, the sole executive-only summit focused on forecasting market movements and featuring top thought leaders from Defense, intell, DHS, industry, finance and academia. Executive Mosaic, the parent company of POC and publisher of TNNI, has collected presentations from several of the marquee speakers at the summit and posted them here for executives’ reference. Our goal is to spread the debate, dialogue and collaboration on how to overcome the sequester to the executive ranks across the Washington area and country. Join us for our June 11 breakfast event featuring Mike Rogers, chairman of the House Permanent Select Committee on Intelligence, to continue to grow industry and government dialogue and gain exclusive insight from a leading member of Congress. Click here to download one ore more of Dr. Stephen Fuller, Jim McAleese and Pierre Chao’s presentations from the event. For more information on each presentation, keep reading below. 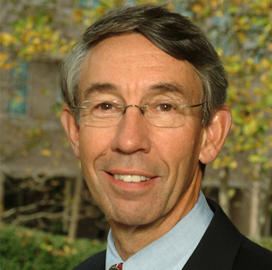 Dr. Stephen Fuller director of the George Mason University Center for Regional Analysis, analyzed how down budgets will affect the Washington regional economy in the near, medium and long terms. Click the link above to view or download his presentation to the leading GovCon execs in the Washington area. He also provided GovCon Wire, an Executive Mosaic media property and TNNI’s sister pub, on his remarks. Click here for that coverage. 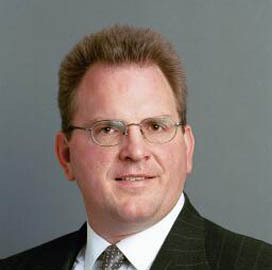 Jim McAleese, founder and principal at McAleese & Associates, broke down the sequester’s impact on specific programs, services and spending areas over a five-year horizon. He earlier spoke with ExecutiveGov, an Executive Mosaic media property and TNNI’s sister pub, about the 2014 budget request and the odds of sequester spreading beyond 2013. Click here for that in-depth analysis that complements his presentation to the Potomac Officers Club. 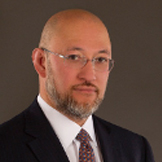 Pierre Chao, managing partner at Renaissance Strategic Partners, captivated the crowd with a look at federal spending cycles across the history of the U.S. as applied to the government contracting market of the 2010’s. For a macro perspective applied to micro business decisions, click here to download his and/or the speakers’ presentations. 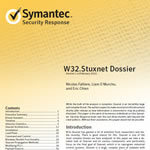 This white paper from Symantec takes a look at each of the different components of Stuxnet to understand how the threat works in detail while keeping in mind that the ultimate goal of the threat is the most interesting and relevant part of the threat. Starting in November 2009, coordinated covert and targeted cyberattacks have been conducted against global oil, energy and petrochemical companies. 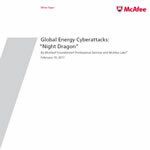 In this white paper, McAfee identifies the tools, techniques and network activities used in these continuing attacks — which the firm dubbed Night Dragon — as originating primarily in China. This white paper titled “Cyber crime, a clear and present danger: Combating the fastest-growing cybersecurity threat” is the key finding of Deloitte’s review of the results of the 2010 CSO CyberSecurity Watch Survey, sponsored by Deloitte and conducted in collaboration with CSO Magazine, the U.S. Secret Service, and the CERT Coordination Center at Carnegie Mellon. 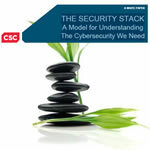 This white paper by CSC proposes a four-layer model called the “security stack” as a means to visualize the complexity of cybersecurity problems and see through to comprehensive, effective solutions. The authors use the term “stack” strictly as analogous (having similarities) to other well accepted stacks where layers deliver services and exchange information to achieve a higher level service. The notion of a “security stack” serves the proposition that security must be an integrated set of services. The paper defines each layer, offers examples of enabling technologies, related standards, and types of professional security services that implement the enabling technologies. In today’s evolving and changing global environment, business in the public sector is increasingly more challenging. There is an ongoing need to adapt a more balanced and integrated approach to protecting information and other assets. As the world becomes a virtual community of competitors and predators, an organization’s assets are at greater risk than in the past, when the world was more localized, compartmentalized, and siloed. The dilemma that leaders face today is managing an evolving networked organization that is virtually connected, but secure. This white paper from Deloitte Federal Government Services discusses the insider threat and defines the risks associated with asset loss and an approach to mitigate an insider through the development and management of a secure workforce. The mass use of the Internet provides many opportunities, but also many risks. Unfortunately, the majority of Internet users are unaware of the risks that cyberspace poses. In this white paper, Melissa Hathaway discusses some common myths about security in cyberspace. Please register and a link to download will be sent to your email address.